Buying or selling a home brings up hundreds of questions that don't occur in the daily life of most people. The home inspector is a specialist employed during a time of stress to help identify a homes strengths and weaknesses and to point towards a solution. They are there to be an information source for home buyers, home owners, and real estate professionals regarding the components and systems of a home, along with its maintenance and/or remodeling and renovation. The home inspection report can pinpoint necessary repairs that could save the buyer or seller thousands of dollars. Whether your needs be residential or commercial, we think you'll agree on the old cliché "what you don't know CAN hurt you." Stop worrying about your real estate deal and make your offer to purchase "pending an approved home inspection report." 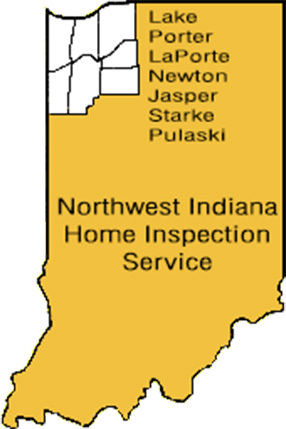 A home inspection is a controlled analysis of the present physical condition of a house, condominium, or other residential or commercial structure. It is a visual inspection that 'digs' deeper than the surface to provide insight for our customers that they would not otherwise easily obtain. A home inspection, including the customer conference, may take as little as two hours, but the impact of the report's content may last for years. There is no question that our inspectors must be responsible, qualified and well trained, and very careful. Our building analysis report is one of the most thorough available to date. It not only lists existing conditions, but also provides tips on preventive maintenance and lists the life expectancy of components along with approximate replacement costs for specific items.